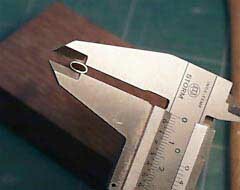 Brass tube 49 - 55 mm long, 4 mm inner diameter 5 mm outer diameter. 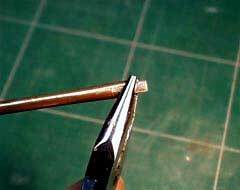 Place the staple on a mandrel and use pliers to form it roughly. 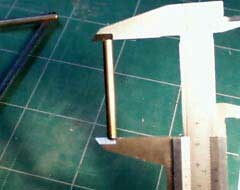 Use a little hammer to form the staple to the mandrel.